Em is my third child. When the boys were 2-4, I was really good about doing crafts with them, and reading stories, and doing all the “right things.” With Em, it’s not as easy. The boys demand so much of my attention these days since I homeschool both of them full time, and lately, it’s been too easy to just send Em off with her blocks while I focus on teaching the boys. It’s really not been fair to her, and it hasn’t been much fun for me either. I *love* preschool. I just didn’t have time to teach it. Mother Goose Time has made my life so much easier, and has made the day so much more fun for Little Miss. For about a month now, I’ve been sharing pictures of my precious Little Miss using our Mother Goose Time curriculum. I’ve been pining away for a program that is easy for me to use, high quality, developmentally appropriate and fun. 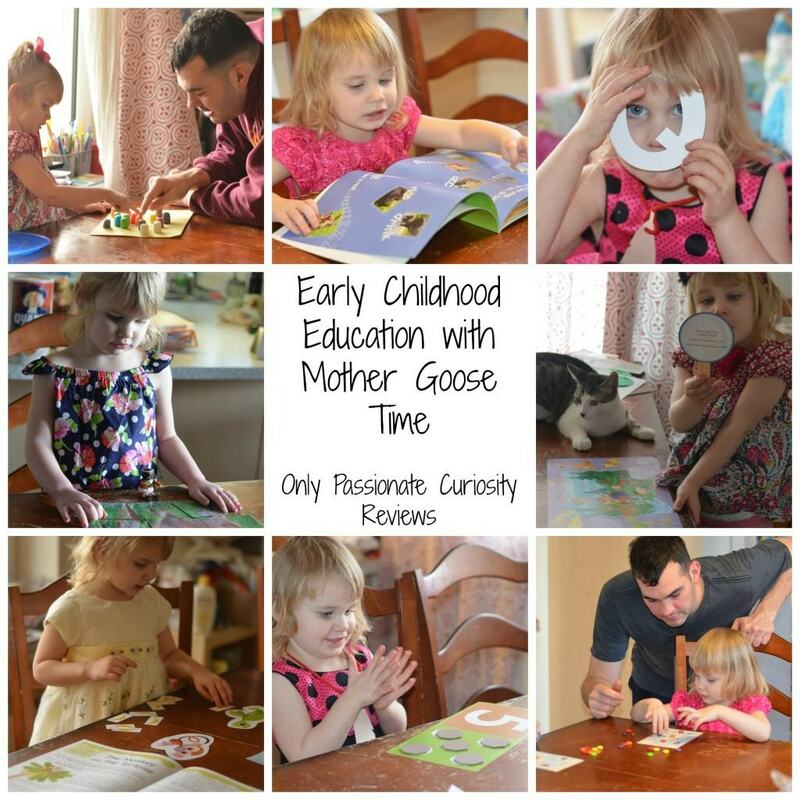 I don’t normally say things like this, but Mother Goose Time is, hands down, the absolute best preschool program I have seen on the market (and, y’all know I get a lot of products coming through my home). 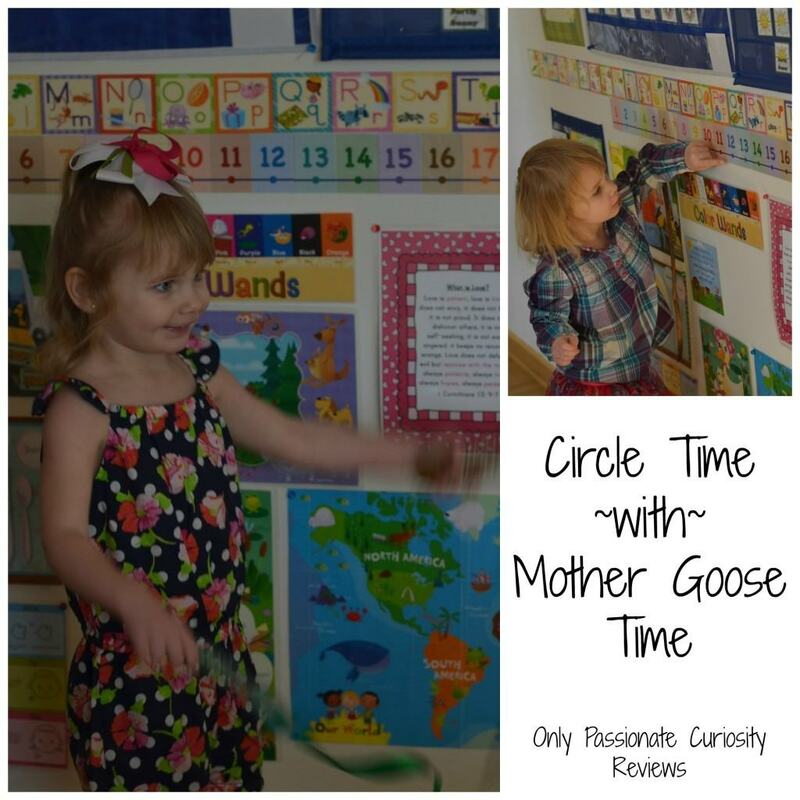 What is Mother Goose Time? 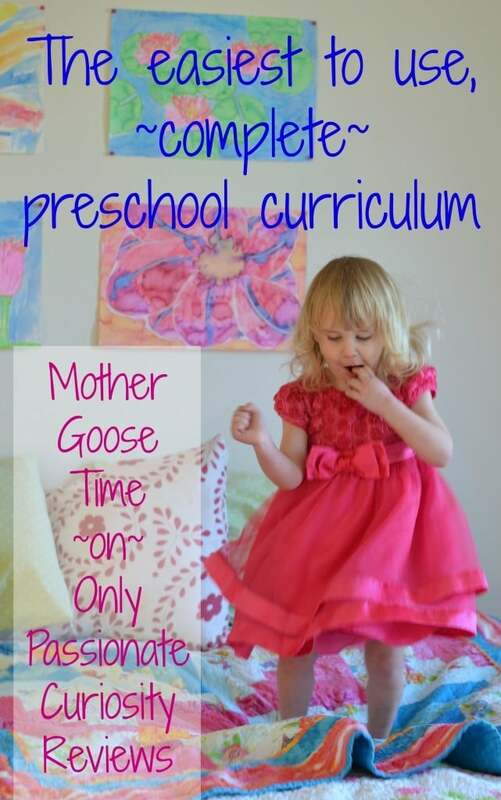 Mother Goose Time provides a complete, creative preschool program that can be used in child care centers, at home day cares, or as a homeschool program for just one child. It is designed for kids 2.5-5 years old, and comes with almost everything you need in the box, with supplies broken down into daily packets so it’s completely open and go. 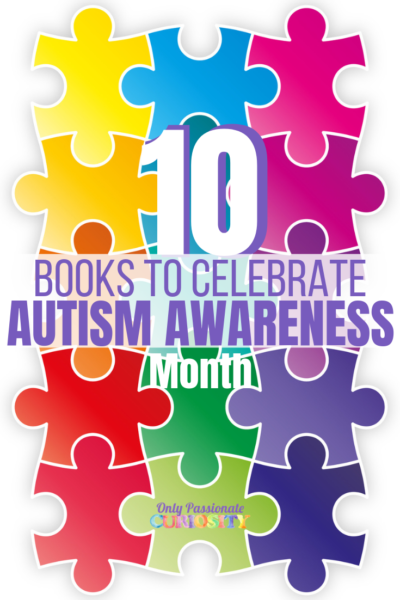 Each month has a fun theme, high quality, colorful materials, and a CD full of cheerful, professionally produced music. The first month you receive will come with your monthly curriculum, and the Starter Kit. When you first open the box, you’ll find a whole bunch of packages. Each daily lesson is packaged separately, with everything you need to complete the daily lesson- readers, worksheets, activities, crafts- it’s all there. I pulled these things out, laminated a bunch of the posters (you’ll need over-sized laminate sheets- the pages are 8.5 x 14) and hung everything up in our circle time corner. Each month covers a couple letters, colors, number, and shapes, so most of the posters are interactive. When you learn the new concept, you get a little “badge” to stick on the posters, so you’ll keep coming back to these elements as you teach. I was blown away when I put the circle time CD in the player- these songs are beautiful, and are recorded professionally. These are exactly the kinds of songs you want to listen to in the car, and hear again and again. All the materials are just beautifully done. The theme is broken down into weekly sub-themes, with each day taking a closer look at the topic. This month, we did the January Baby Animals Theme. 13 art projects, read a whole BUNCH of books, practiced the ABCC pattern, practiced some sight words, and the -ick word family. We learned two ASL signs, learned about Canada and practiced new manners, learned some Spanish words, sang, danced, played pretend. We sorted, and made puzzles, and worked on tracing, sequencing, and name recognition. We learned about animals, and habitats, and the weather, and did science experiments. We measured things, and pounced like lions. We did mazes, and learned to take care of animals. We did SO much MORE- and I can’t possibly list it all! Best part is- I did it with minimal preparation time. I did it without being overwhelmed. I did it while Homeschooling two older kids. Lastly, our box came with a Bonus Bag with activities to celebrate the holidays. I grabbed the bonus bag out of the box meant for February since we’re working a month behind, so we could do the Valentines Day activities. I loved that they thought to include the holidays so you can have special fun projects to do. I did ours in addition to the daily lesson, but you could skip a day, or add it in as an extra day if you wanted to. Em and I have had an amazing month. Each morning after breakfast, all the kids gather together for circle time. We start with our Mother Goose Time circle time songs, and do a quick morning lesson from the teachers manual (ALL of the kids, even my third grader, participate). We fill Em’s bucket first, and let her sing and dance with us, practice the ABC’s and count. When she looses interest, the Boys and I continue on with our other circle time activities, while Em plays with playdough or blocks. When circle time is done, we all head to the table. Little Miss almost always gets right up in her seat and asks to “do school.” Because Mother Goose Time is set up so well, I don’t even open the lesson pack until the day I teach it. I get her started with something as the boys get to work on their own lessons, and I rotate between the three kids teaching, helping, and encouraging as needed. Em typically does 1-2 activities in the morning, before heading off to play again on her own. After Lunch, Em knows she gets her own special “school time” without the boys. They head off to go play a game in the other room, and Em and I sit down together for her lesson. Anything she didn’t do in the morning, we finish up after lunch. Typically, if there is a craft or science activity, we do it now since she gets my full attention. I love that Mother Goose Time has so many activity choices each day (see Lesson Plan Sample), so Em can come and go from the table as I teach the boys as much as she wants, and I always have something to bring out to do with her. I found that a lot of the activities are also easy to repeat, so some things, like the puzzles, counting mats and other games I store in Ziplocks, so I can pull out a favorite from a previous day for her to play with again. We’ve just had so much FUN. I love that Em is getting to do crafts, and I am not having to plan a single one. I don’t have to round up supplies other than basic materials (like markers or paint which is already on my schoolroom shelves). I don’t have to read ahead or assemble much of anything. I just get to open the bag, and enjoy teaching my daughter. It’s so much fun to see her light up, and she is SO much happier each day knowing she is also getting one-on-one time with me, instead of always having to play alone while I teach her brothers. Hubby and I have seen Em grow leaps and bounds in the last month. She’s learning so much, so fast. Her motor skills are improving. She is more verbal. She recognizes the letters we learned this month, and knows the sounds they make. I’m blown away each day when I bring out her lesson materials and see how much she is capable of. I also learned that I have been underestimating her, and worrying too much about my ability to teach all three kids. I know that I don’t “have” to “do preschool” at all- but I do have to give her opportunities for growth, creativity, and learning- and Mother Goose Time has given me the tools I need to get the job done. I plan on continuing with this program as long as I can! Mother Goose Time offers a few different products to help you make the most of the program in your home. Monthly Themed Curriculum: The basic curriculum comes with everything shown in this review. The first month you order, you’ll recieve the free starter kit along with the monthly lesson plan book, music CD, and daily packets. You can order it for as many, or as few children as you need. Experience God Christian Supplement: Christian Homeschoolers will be thrilled to see the Experience God supplement that includes memory verses, songs, and bible themed activities to each month’s lessons. Infant/Todder Lesson Plan Supplement: If you have a child younger than two that you would like to include in your preschool time, Mother Goose Time offers this supplement that will help you adapt activities and lessons to a younger child’s developmental needs. More Math/More Reading Activity Books: If you are trying to use this program with a slightly older child, or a gifted/advanced learner who needs some more math and reading practice, these workbooks will give them an added challenge, which still allowing them to enjoy the fun lessons with the monthly themed curriculum. Toys and Musical Themed Products: Each month, Mother Goose Time has a toy collection, Dancing Beats DVDs, and other supplemental goodies you can purchase along with your curriculum. I can’t recommend this program highly enough. Since I have had it in my home, multiple friends have come by to see it, and have gone right home to order their own. It’s really just that good. I wish I could have you over to peak through my materials too- so if I missed any details and you still have questions, please do leave a comment, and I will do my best to answer it! We’re not done with Mother Goose Time yet! Mother Goose Time has decided to continue their relationship with our blog for the time being, so you can count on seeing more pictures of Little Miss’ adventures with the curriculum, and hear more of my thoughts on the program with our Mother Goose Monday series here on the blog. Each month, I will also try and answer your questions about the curriculum, and give you a close look at the elements included- so please, leave a comment with any other questions you may have, and come back to check in with us each week! 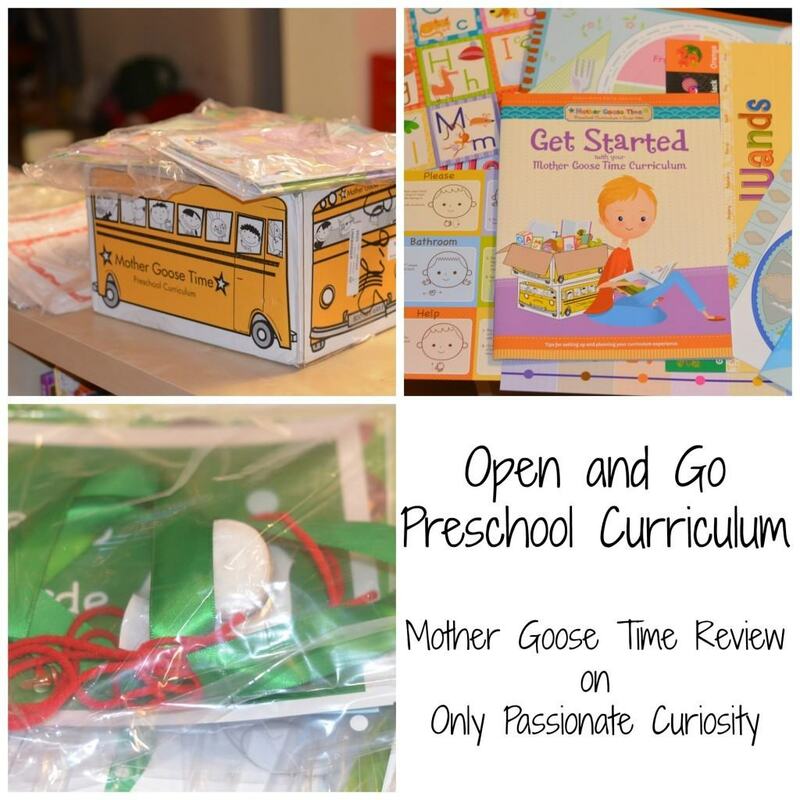 I have been a customer of Mother Goose for 4 years and have loved all the boxes that have arrived month to month. But, this school year 2016/.2017 they have changed there ready made projects. This how ever did not work for my program. It was more of a self expression type of art. I prefer already cut. Some the project my kids where gong home with did not look at all like the example and they just looked like I was giving them paper and scribbling, not at all very impressive to the parents. I chose to cancel my subscription and create my own projects with the help f Pinterest.if they decide to go back to the way they use to precut the projects. I would go back as a customer. I’m a daycare assistant & my boss is a preschool teacher that chooses to work from home , she uses this program here with our 2-5 year olds & they love it!!! 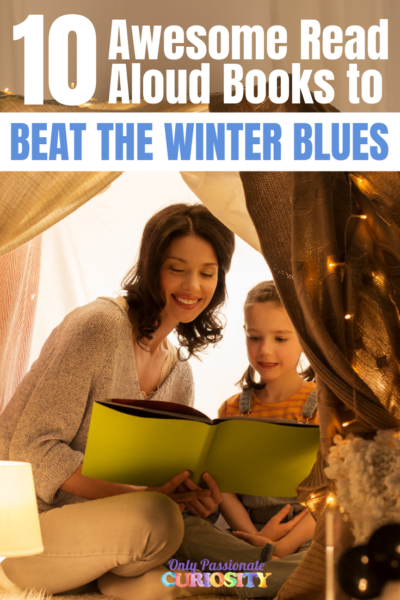 Recently I have been kinda taking over the “school work” & activities since she has a newborn that keeps her super busy…i am so amazed at how easy it was to take over being the ‘teacher’ , all the lessons are organized and easy & fun to do! I usually end up doing my own project with them too! We just got our new curriculum for 2017 a few days ago & on day 3 of baby animal theme..I love how everything looks and how the songs get stuck in my head. Defiantly amazing quality stuff. I am not a teacher but I was able to just pick up the bag that had the lesson for the day &follow the instructions on the little page that comes w/the activity . Now I am able to reference the teachers guide so it’s just a lot of fun to do with the kids 🙂 i would highly reccomend this to anyone looking to help kids learn in a fun way that will keep them 100% interested. (There’s even tips about how to ‘simplify’ the lesson for kids who are having a hard time or to make it ‘challenging’ for kids who are developmentally ready for greater complexity) it might even make you feel more creative like it did to me, now I look on the internet for my own “activity” to add to our mother goose time lesson! You probably want to check their website for the most recent price, but when I was using it for one child, it was about 60 dollars a month. Wow!!! This is fantastic because these kids something new and creative to make them busy. I wish I can order Mother Goose in my country for my daughter. I got Mother Goose Time for my son while I was stationed stateside, but we have just moved to a new duty station which is OCONUS! 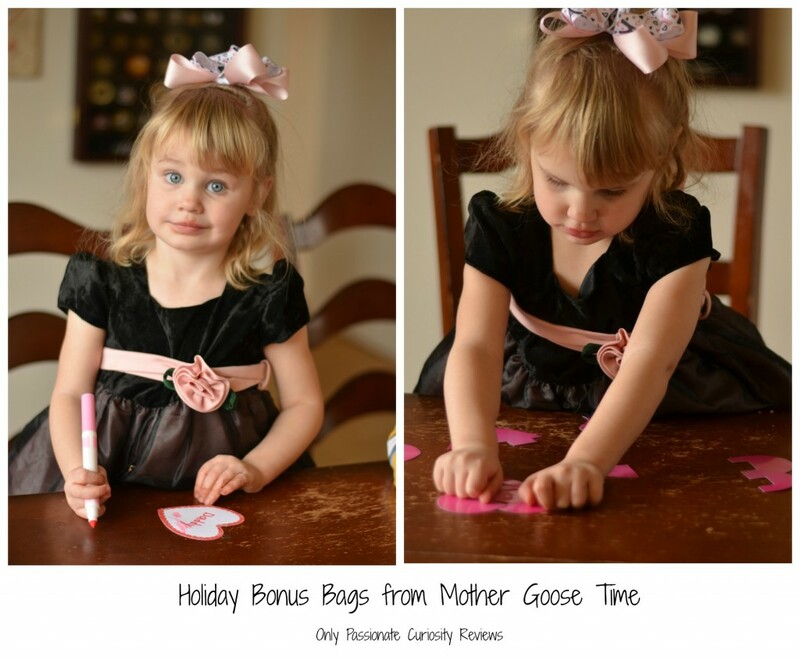 Have you used Mother Goose Time at any of your overseas locations? How long did the shipping take? Thank you!! I did use it OCONUS- when you order, just do it over the phone and ask to be put in with the first shipment of the month to make up for the shipping time (2-3 weeks for me). I always got it on time, but it was close. i just started to think about homeschooling my son who is 3 1/2. I ordered the Mother Goose Time for his first preschool lessons. My question is, how do you get kids at such a young age to participate in the activities? My son is a typical 3 1/2 year old and I admit that I haven’t been the best at doing structured activities with him. Any suggestions? P.S. I’m so glad I found your blog! I never thought about homeschooling my kids, but now it seems like a real possibility! A lot of the Mother Goose Time activities can be done “casually.” What I do is look at the teachers manual, and instead of sitting Em down to do the lesson, I try and incorporate bits and pieces though out the day. We do the morning meeting stuff over breakfast. Later in the morning, she does a craft or activity. I let her wander in and out during playtime and as she comes to the table, we pull out another activity. For the things that require pretending- like using a color wand and being an animal, I get right down on the floor and do it with her. We get goofy, and don’t take anything too seriously. You’ll find a groove that works for you! Also, thanks for the sweet complement! You really could do it if you wanted to! 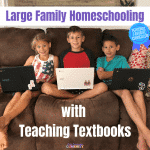 Homeschooling isn’t always easy, and not every moment feels FUN to me, but at the end of the day, the kids and I are having a wonderful time, I am so glad to have this extra time with them to come together as a family, and they are learning an insane amount. Its a wonderful thing- not something I ever thought I would be doing, but I am so glad we accidentally happened upon it 🙂 Good luck with the decision! 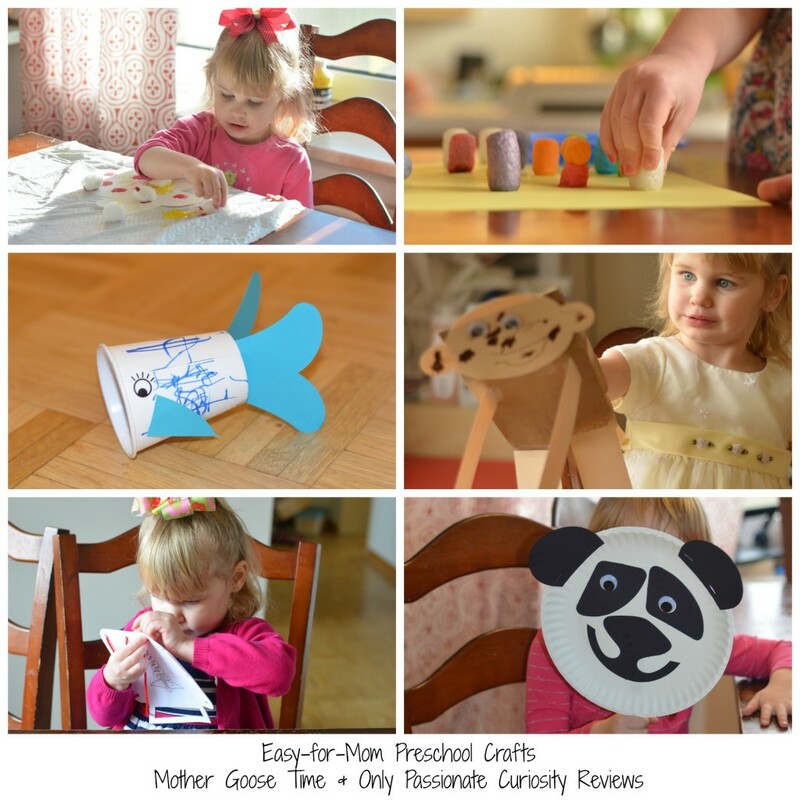 Hi, I love your site and am so excited to learn about Mother Goose Time! I want to order it for my daughter who turned two this January. After looking at your review and their website, I’m still not sure if I should order the supplement for younger kids which I believe they recommend for 2 and under, or if just getting the regular program will be ok for her. She’s not ready for writing yet and I wasn’t sure if I could just skip the parts she’s not ready for yet or if it would be better to get the supplement for a few months. Any thoughts you have on that are appreciated…thanks! I am thinking about ordering this for my 4 and 2 1/2 year old daughters. I was wondering if I need to go in order by the months, or if I could jump around. I know you said that you are a month behind, and that works, but what about going form say October to July? And since we are just starting out, would you recommend starting with the September theme, or the March theme? Sherri- You’d need to call MG Time to ask them- I’m not sure if you can order like that. I started in the middle of the year, and you can for sure jump right in where ever. 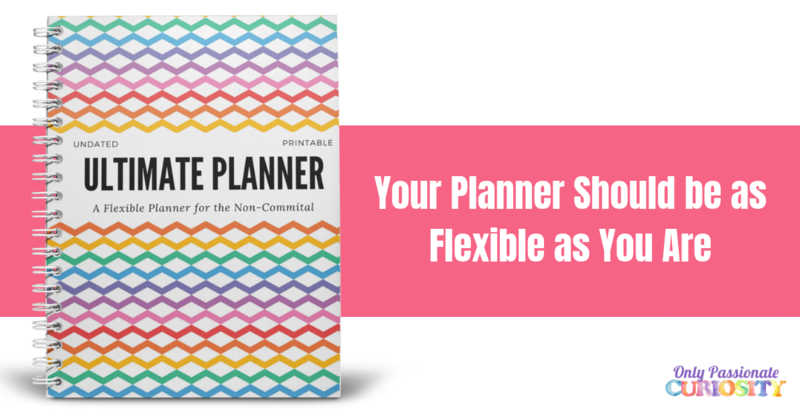 Each month is stand alone, so you don’t have to worry about missing anything.